As we prepare for a Thanksgiving feast next week, many families will find themselves on the road travelling to spend time with family and friends. For families traveling with pets, though, there are certain dangers for four-legged companions to keep in mind this holiday season. Loose pets inside of vehicles can become a dangerous distraction for drivers. Moreover, unrestrained pets can become hazards themselves during an accident. 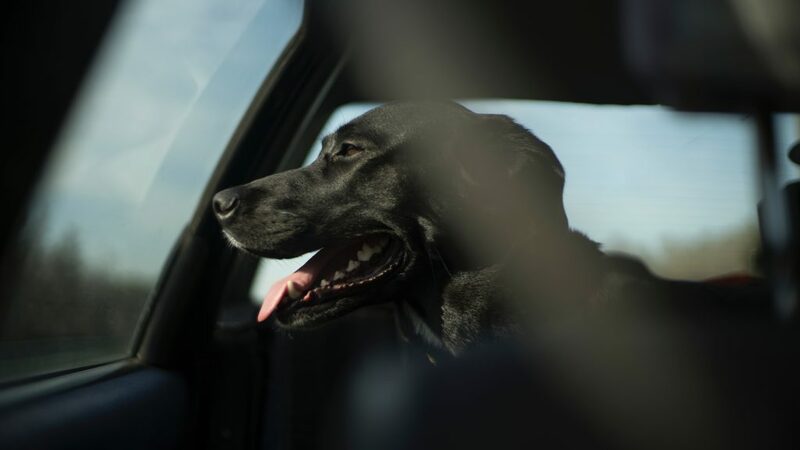 Without proper restraint, even a simple joyride with your four-legged friend could result in harsh consequences for everyone. In case you and your pet become separated, be sure that all ID tags are properly affixed to your pet’s collar and that they have your current contact information, including cell number(s). Never leave pets unattended inside of vehicles. Pets should never be transported in the bed of a pickup truck. Not only can your pets injure themselves, but they can also cause an accident which may harm someone else. Do not leash your pet inside of a truck bed even when parked to avoid strangulation hazards and because open truck beds do not provide any protection from the weather. Keeping pets safe is every pet owner’s responsibility… and being a safe driver is not only your obligation — it’s the law. From all of us at American Humane, we’re wishing your family and it’s four-legged members a safe and happy Thanksgiving!